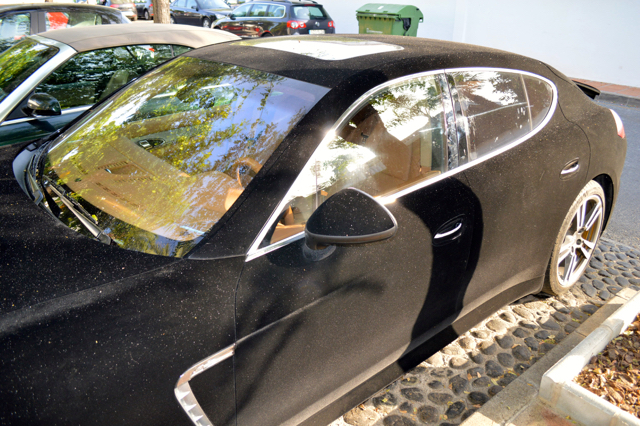 i-Marbella.com spotted an unusual black velvet Porsche Panamera in front of Puente Romano Beach Resort and Spa in Marbella, Spain. The model in the pictures must be the velvet black Porsche Panamera, a true black-on-black. Going to a luxurious resort is your chance to see such rare cars, and as we all know, Marbella is no stranger to luxury.